Stress is so much more than biting your nails. With this advanced massage chair, you can take a seat, recline to zero-gravity, and simply point to where it hurts using the revolutionary BodyMap PRO Immersion Director remote. The Smart 3D massage engine simulates the expert movements of the chiropractors who helped create them, leaving you relaxed, rejuvenated and ready to live life to its fullest. Ergonomically persistent motion that doesn't stop until you feel better®. Immersion motion defies gravity, releasing that aching weight from your back. Zero-gravity is the physician-recommended neutral-posture position to relieve pressure on the spine at any recline angle. A Human Touch Immersion Massage Chair conducts a gliding, multi-sensory, mind-and-body centering experience that relieves stress and pain. Lumbar heat modules soothe tight muscles and relieve pain. The chair also comes in a 5-year limited warranty. 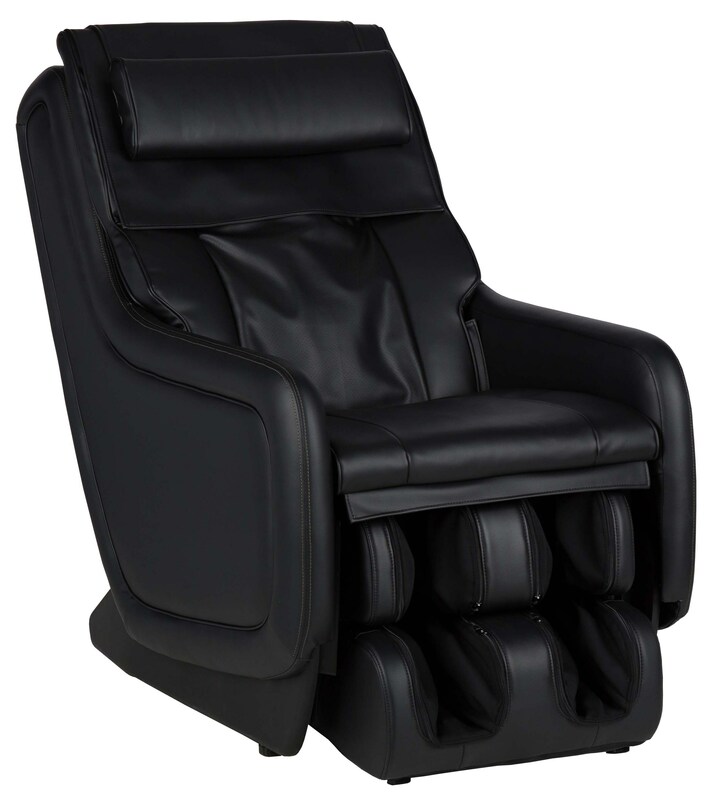 Immerse yourself in wellness with help from this immersion massage chair. Some assembly required. Special order available. 285 lbs weight capacity. The Immersion Seating ZeroG 5.0 Massage Chair by Human Touch at HomeWorld Furniture in the Hawaii, Oahu, Hilo, Kona, Maui area. Product availability may vary. Contact us for the most current availability on this product. The Immersion Seating collection is a great option if you are looking for Contemporary furniture in the Hawaii, Oahu, Hilo, Kona, Maui area.